Flora Sapio (FS), Beitita Horm Pepulim (BHP), and I (LCB) continue our experiment in collaborative dialogue. We move from the individual to the social self as we work toward a philosophy of the individual. While at first blush this appears to be well worn ground--who hasn't, over the course of the last 5,000 years, in every civilization with a recorded history NOT spent vast amounts of time thinking about the social self? But much of this thinking starts at the social and works through the issues of control, management and socialization of the individual. That is, they start from the core premise that the individual is the object of a project for which the social serves as an instrument and as an ends. In the spirit of the emerging philosophy of the individual, we propose to invert the conversation--to start with the individual and work through the issues of control, management, and individuation of the social. This conversation, like many of its kind, will develop naturally, in fits and starts. Your participation is encouraged. In this post Flora Sapio (FS) responds to earlier comments (Part 4) and speaks to the social self as a reflection of the family. (FS) Commenting on Part 4 “A signification/meaning exercise between an individual and its signifier”, I do not understand the reason why the relationship between individual and signifier has necessarily to be dyadic or triadic. A sign can refer more than one signifier. Multiple signifiers can give meaning to the same sign, and so the same sign would contain a variety of meanings, some of which may seem unrelated or contradictory at a first glance. Yet, they are related by the same logic, a logic that underlies both sign and signifier, and it is not immediately visible, until one can access the deeper level of meaning of both sign and signified – levels of meaning that exist in the realms of analogy and other rhetorical figures. Sometimes, individuals have a chance to rename themselves. While applying for my residence permit in Beijing, many years ago, I noticed how police officers would ask applicants whether they had a Chinese name. Some applicants did not have a Chinese name, so the officer would proceed to name them, usually by picking those characters which were phonetically close to the syllables of their name. Once uttered, their names made little sense to Chinese persons. Other applicants had a Chinese name, which did not correspond to their foreign name, yet it was meaningful – because in naming themselves they took care of choosing the characters that best represented themselves, or so they believed. Brief as it was, the moment of socialization could be re-enacted, and individuals could signify themselves, even though it is not clear on what such self-signification was based, or what drove the act of self-signification. The explanation that one was entering a different social context, to which one had to adapt, must hide a different dynamics. Anyhow, tonight I would like to talk about the Social Self and the Family. We know how the family, in all its meaning and declinations, is the core building block of societal and social ontologies.....but what is the Societal? 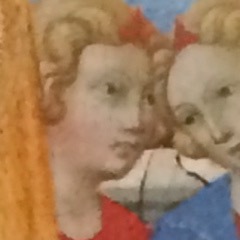 The document in question --a letter (...) --had been received by the personage robbed while alone in the royal boudoir. During its perusal she was suddenly interrupted by the entrance of the other exalted personage from whom especially it was her wish to conceal it. After a hurried and vain endeavor to thrust it in a drawer, she was forced to place it, open as it was, upon a table. The address, however, was uppermost, and, the contents thus unexposed, the letter escaped notice. The Societal is all around of us, yet we do not see it or perceive it because we no longer take notice of what is familiar to us. And what is more familiar to us than the Family? To the ancient Greeks, the oikos (οἶκος) designated the family, its property (included cattle and slaves), and the large house where everyone lived together, not unlike in the Confucian jia (家). To the Latins, the familia was a taxonomical classification, an arrangement of living organisms, classified and organized from the most to the least complex under the broad label of ”life”. So perfect and orderly is this ranking, that it leads me to think about fractal patterns – a natural mathematical phenomenon where one and the very same pattern repeats at every scale within the same living organism. The leaves of the Aloe Polyphylla, a species of Aloe originating from South Africa, are arranged around the stem in accordance with the Fibonacci sequence. 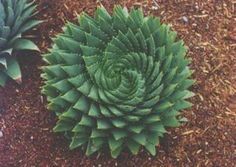 The leaves arrangement of the Spiral Aloe, and the logarithmic spiral arrangement evident in shells, pine cones, etc. follow one and the same law, a law discoverable by an intellect aided by the tool of mathematics. The family exists because it is the most natural form of organization, whether it be the organization of human beings, animal species or a collection of objects or even abstract ideas. The Mother is the first mirror where the Societal Self learns to know its placement with respect to the Mother. To understand what place it must occupy in the Family, the Societal Self has to learn behaviors expressive of social norms, as these behaviors are received and taught by the Societal Family. Neither the Societal Self nor other Family members need any prior knowledge of themselves in order to learn those behaviors, and abide by them. Failure to relate to other members of the Family in the most appropriate manner results not from any actual mistake of the Self, but from not meeting the expectations the Family has placed on the Self. Sometimes, these expectations can be standardized, making objectively difficult for Selves, each one of whom is unique, to comply with them. On the other hand, the Societal admits only of general and universal rules. As it is well-known, the only mechanism the Societal has to 'relax' its rules, whenever those rules cease to function, is their wholesale suspension, or their overturning. Their replacement by rule-systems which are individualized, yet instantiate the same set of general principles, albeit in different ways, is out of question. The Mother is the first mirror where the Social Self learns to know itself, and the Mother. The relation between the Social Self and the Mother is born out of such mutual knowledge. Next, the Family places the Social Self before a set of 'mirrors' of varying size, shape, and reflective power. As the Social Self reflects in each one of these mirrors, he furthers its self-knowledge, as well as knowledge of the other members of the Family. The hierarchy, and the rules, in the Societal Family are premised on the reciprocal knowledge of each one of the Family members' characteristics. They are expressive of social norms. These social norms may be universal, in that they express values, ideas and principles to which everyone can relate, and which everyone can accept. Yet, they convey those values, ideas and principles in ways which are built around the specific features of Social Selves. Therefore, while the outward manifestation of these social norms may display significant variations, all of them express shared values and beliefs – but in ways acceptable to the Social Self, and the Families, all of which are different. The Societal Self cannot exist without the family, and neither can the Social Self. Where does the boundary between social and societal lie? Easily drawn in theory, there is no such boundary in practice. In the Family, and in society, the social and the societal dimension are one. They are intermeshed, and any attempt at introducing a distinction that separated the soci[et]al into the Social on the one hand AND the Societal on the other would be unfeasible....would it?